Today was quite the adventure! 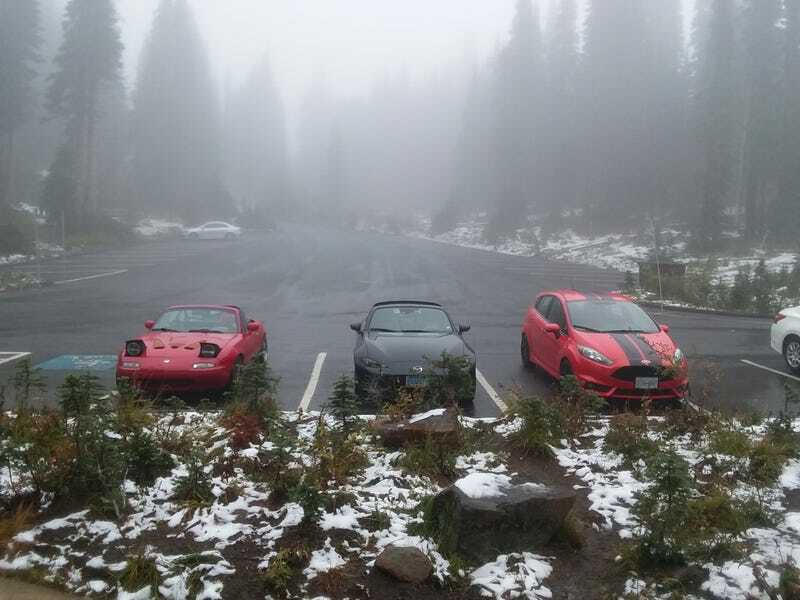 Due to the fog we didn’t actually get to see Mt rainier but the park was amazing and it was a great drive. Plus it didn’t rain so top down life was had. Full post to come soon about my RF rental!